On Saturday, Egypt’s Supreme Administrative court made headlines once again when it rejected the Egyptian government’s appeal against previous administrative court order obliging it to demand the rights of the 1956 and 1967 Egyptian POWs officially. The Supreme Administrative court headed by honorable Judge Ahmed El-Shazly upheld the March 2008 Administrative court’s ruling obliging the Egyptian government to demand the rights of the Egyptian POWs in the 1956 and 1967. In 2001, a group of Egyptian POWs families and ex-POWs represented by lawyer and 1973 war veteran Wahid El-Oksori filed a lawsuit in front of the Egyptian administrative court demanding the Egyptian government to investigate the allegations against the Israeli Defense Forces “IDF”. The Egyptian government represented in the State Lawsuits authorities appealed the court ruling in front of the Supreme Administrative court. On August 28, news came from Tel Aviv that former minister of defense and deputy prime minister Binyamin Ben-Eliezer had passed away at a medical center. The 80-years-old Israeli official was suffering from kidney disease. The Iraqi-born Israeli official gained hate in Egypt when Israeli war documentary “The Shaked spirit” or “Rush Shaked” was aired on an Israeli TV channel in March 2007, including testimonies of military veterans in the Shaked unit he headed in 1967 on how they killed 250 Egyptian POWs near Egyptian-Palestinian borders. In an alleged U.S confidential cable sent from the U.S embassy in Cairo to Washington on 7 March 2007, it was detailed how Ben-Eliezer cancelled his visit to Egypt over the anger of the government of Egypt as well the anger of media. Interestingly, according to Ben-Eliezer’s Wikipedia page, the Egyptian General Intelligence service warned him of coming to Egypt during that time otherwise he could be arrested. 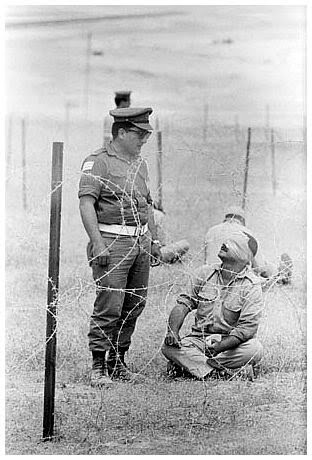 Today marks the 47th anniversary of the Six day war “The 1967 war” in the Middle East , a war that changed the course of the region forever and as usual the Egyptian POWs file is always brought up shortly for the bitter memory. Next Sunday a new elected president will swear in , this new president is former Field Marshal Abdel Fattah El-Sisi whom is regarded in the eyes of many as the New Nasser so one must wonder if the file of Egyptian POWs will be opened in his term as a president or it will be ignored like in times of Mubarak and Morsi. I hope that the file of the Egyptian POWs that were killed and mistreated in 1967 is brought up this year and is not forgotten because of the presidential inauguration next Sunday. It is June 2013 and amazingly as I have waited the elected President in Egypt Dr. Mohamed Morsi to open the file of the Egyptian POWs in the anniversary of the six days war but instead there was nothing. Complete silence from the new administration. The anniversary of the Six days war came and Egyptians found out the members of the Muslim brotherhood which the president belongs to were gloating over the defeat caused by their nemesis Nasser !! ??? ??? ?????? ???? ???? ?? ?? ?? ??? ?? ???? ?????? ????????? ??????? .. ?? ??? ? ???? ??????? ..??????? ??? ????? ???????..?? ???? I cannot ignore this opportunity without congratulating the Nasserites with their defeat Happy Six day war anniversary dear Nasserites and you are defeated , the leadership is for those who deserve the leadership Gentlemen !! Today is the 45th anniversary of the Six Days War defeat in 1967. From 45 years ago starting from early morning thousands of Egyptian soldiers and officers did not know the hell they would face as POWs after hours in Sinai. We will never forget till their rights are fully restored and they are properly remembered in Egypt. More photos from 1967 war Egyptians POWs. 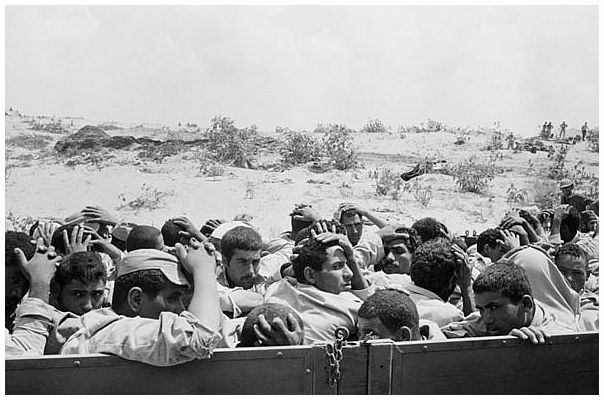 Last week Egypt celebrated the April 25th Sinai’s liberation day and Yesterday Al Masry Al Youm Daily published online a report about the Remains of Egyptian POWs scattered across North Sinai with testimonies from eye witnesses about the IDF’s atrocities against the Egyptian officers and soldiers captured in 1967 war. 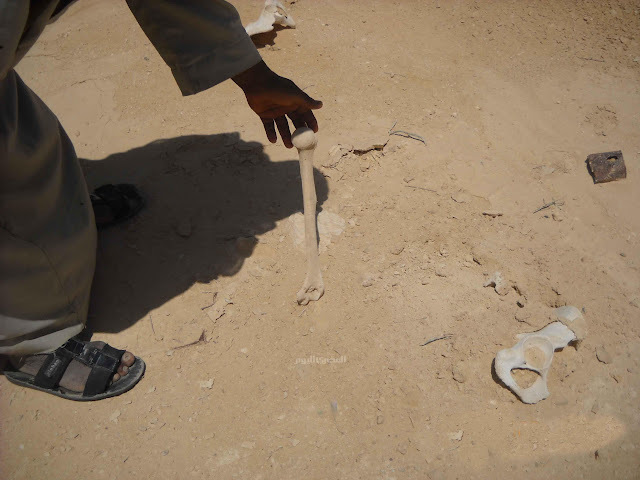 The remains of Egyptian POWs in North Sinai "Al Masry Al Youm"
Happy Martyr Day to all Egyptians. Today is our National Martyr Day which commemorate the martyrdom of General Abdel Moneim Riyad on the Egyptian front on 9 March 1969. This day we will should pay respect to all our martyrs who died and killed for the sake of this nation and its people throughout history. The Admin of the SCAF official FB page sent a salute to Egypt’s martyrs from the armed forces as well the #Jan25 Revolution on Thursday. 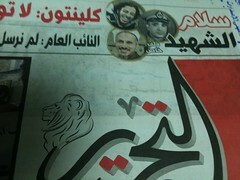 Tahrir newspaper’s header included today a beautiful graphic showing the pictures of late General Abdel Moneim Riyad and martyrs from January 25th Revolution “Mina Daniel and late Sheikh Emad Effat”. Yesterday was the anniversary of the six days war defeat. It was very special this year , the year of Arab spring revolutions. Despite we are busy in our present and planning for our future , we have not forgotten our past , we have not forgotten our POWs. Now there is a good news that sooner insh Allah the file of the Egyptian POWs will be opened again , I am not going t reveal anything except that this revolution we have had will revive the case of Egyptian POWs again. Wait for more updates insh Allah . This is my first post in 2011 . It is my first post after the Jan25th Revolution in Egypt , it is my first post after ousting Hosni Mubarak , the same man who ignored for 30 years the rights of our Egyptian POWs. I wanted to write here during the revolution to show to the whole world how the former ousted president had no friend in the world except the same man who killed our POWs in 1967 : Binyamin Ben Eliezer !! During the climax of the revolution last February almost all the leaders of the world did not talk to Mubarak and he did not dare to call them except Ben Eliezer !! “Le guerre des six jours il ya 40 ans” or “40 years on the six days war” is an essay written by Chitour Chems in 2007 in the 40 anniversary of the war that changed the Middle East forever. The essay discusses the six days war and its implications up till now showing new historical revelations that the Israelis knew in advance that Nasser did not want to go unlike what they claimed and have been claiming up till now despite the confessions of the Israeli decision makers then. Despite it is a heavy historical political essay still it contains very interesting details about the massacres against our POWs in 1967 which I will quote here the translation due to its importance.